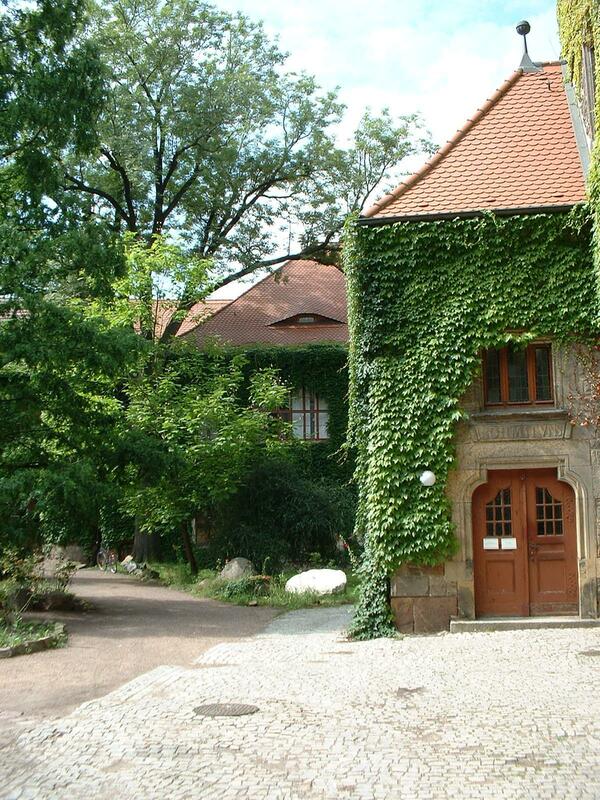 This is the backyard of the Geiseltal museum. Here you can take a rest after visiting the geological exhibitions in the museum. Below the big trees you will find a cool shady place. The museum is near the cathedral. Unfortunately even not many people living in Halle know this area very well.